One Stop for Branding Needs. Marketing Duo Turn Print Pros with Software and Automation. 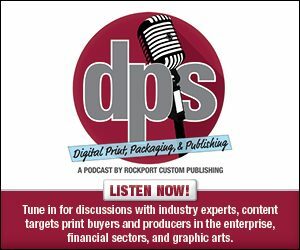 Print providers are looking to transition from a commodity service provider to a marketing partner. An effective and productive print environment seeks software solutions that streamline workflow and offer value-added components for customers like easier brand management and online ordering. Established in 2006, ZenPrint has grown organically as well as through acquisitions. Its personalized, print on demand products include photo merchandise, business cards, direct mail, banners, booklets, flyers, and labels. In addition, the company offers web to print (W2P) solutions, including storefronts, a W2P plug in, and W2P API. The company now employs a staff of 40—which ramps up to 60 during peak season—out of one 30,000 square foot facility in Provo, UT. Starting out, ZenPrint founders J.D. Gardner and Nate Jenson realized the complications of marketing for franchises and decided to solve the problem. The two worked with a Mexican restaurant chain that required a range of collateral for each location. However, each franchisee contracted these items separately and the franchisor’s overall branding frequently got lost. The shop decided to create a W2P system that could enable brand templates that anchored certain elements of a marketing piece and customized others. The platform was successful and expanded to other customers. Today, the W2P storefront, ZenFront, provides clients with a one-stop shop that combines printing, inventory management, ecommerce, and fulfillment while allowing users to protect and enhance their brand. After creating its successful W2P product, the next challenge for ZenPrint was finding a reliable print partner to create the range of applications the platform supports. Without much luck finding print partners to comply with their requests they decided to get into the print business themselves. In 2008, the company acquired a Salt Lake City, UT printer, converting the operation to digital with Xerox iGen presses. It selected the EFI Fiery digital front end to drive them. This enabled the company to control multiple printers from a single interface and take advantage of built-in applications for imposition, color management, and job editing. As the company’s needs continued to expand, the pair acquired a printing company in 2011. This purchase brought a larger facility and the two operations were combined. Today the company operates with two Xerox iGen 150 presses, a Ricoh Pro C9110, and two Ricoh Pro C7100 presses—all managed with one EFI interface, Fiery Command WorkStation. The Fiery works especially well for the multi-vendor environment. With its branding platform and digital operations, the on demand digital print provider grew quickly. According to Justin Biggs, president/COO, ZenPrint, the shop manufactures more than 100 print on demand products in house, including photobooks, banners, canvas and metal prints, as well as traditional business products in various quantities. Because of the application versatility, the shop understands that it can’t dedicate a press operator to manually open files, check for assets, and queue jobs for press, so it invested in automation, again looking to EFI, selecting its Fiery JobFlow product. Orders come in through the ZenPrint W2P job manager and are automatically grouped into batches that are released to JobFlow with a click of a button. Upon the release, a .CSV file is submitted to a JobFlow workflow, where files are pulled down, preflighted, combined, imposed, and sent to press. With this workflow, the operator doesn’t have to do any imposition. “We used to spend two to three hours each morning queuing up batches. Now, with Fiery JobFlow, jobs are already queued when we arrive in the morning and we don’t have to worry about whether there will be issues,” says Biggs. JobFlow is also used to manage some of the company’s wide format work, adding registration marks and cut guides when needed. “We use JobFlow to add those extra marks then drop the PDFs onto the computer connected to the printer for printing,” adds Biggs. “One thing I that have learned in the last decade is that technology changes—and changes quickly,” comments Biggs. “We wanted a solution that would allow us to adopt new technology and take advantage of improvements regardless of whether it was from one company or multiple companies. We needed a solution that would set us apart and that was agnostic to the printing press,” continues Biggs, adding that the EFI JobFlow solution fit the bill. Marketing is largely about setting oneself apart from the competition. Part of the road to success often means making investments in the right technology. With a software platform at its core, ZenPrint understands the need for customization, automation, and control. By focusing on this automation with sophisticated workflows, it found success and differentiates itself from other print and marketing service providers.